Can you figure out how to do this invisible monopod trick? My friend and tech vlogger Pepe Vazquez has thought of a new way to make the monopod invisible in his 360 photos (also works for video), without using Photoshop or other photo editors. Can you figure out how he made his monopod disappear? 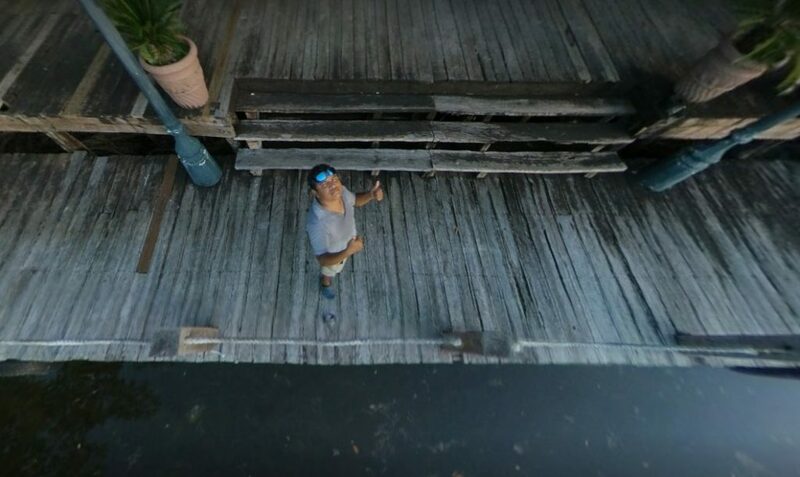 Some things to consider: he’s standing on a wooden pier, and in case you want to know, he used a Xiaomi Mijia Mi Sphere, which is a very slim 360 camera that uses template-based stitching. If you want to check your answer, have a look at his original post here where he revealed the answer. BTW Pepe is very knowledgeable and resourceful 360 shooter. I recommend subscribing to his YouTube channel, which has many tips and techniques for 360 photos and videos!